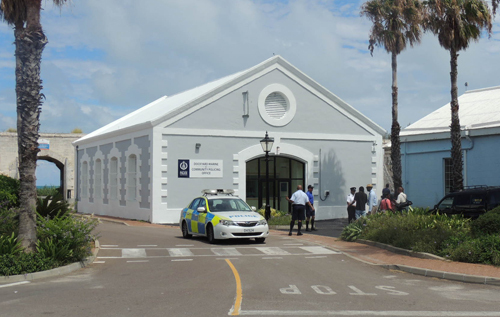 The Bermuda Police Service announced on Wednesday that the Somerset Police Station will be temporarily closed for the next three weeks due to construction on the property adjacent. 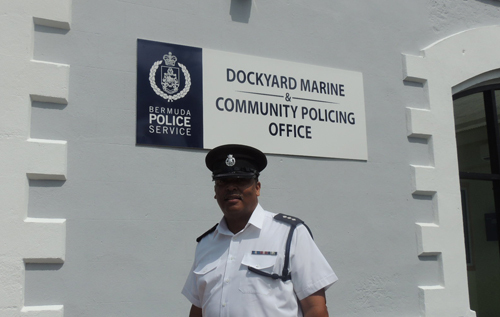 Police services will be operated out of the soon to be opened Dockyard Marine and Community Police Office during this time. The temporary closure is due to the installation of a new radio tower on the grounds next to the Police Station on Somerset. Chief inspector Calvin Smith was confident that this move will not impact police service and response time, saying in a press conference: “Residents can expect to continue to see the same highly visible police officers in the Somerset area on their usual patrols. “The physical location of the station doesn’t dictate response, so residents will continue to receive the same high quality and high standard and service they are given. Response time is based on where the police car is at the time of the call, so this will not have any impact on the quality of service. 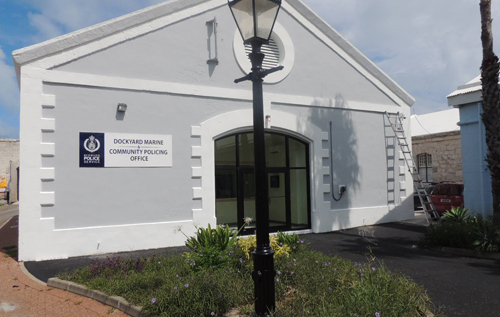 The contact number for the Somerset Police Station will remain 234-1010 during the relocation, and a phone box will connecting directly to the Dockyard office Station Enquiry Desk will be placed on the wall outside of the Somerset Police Station.